Patrick Dalton-Holmes is a native of Syracuse, New York. He began his study of the violin at age three. Dalton-Holmes earned a Bachelor of Music degree from the Cleveland Institute of Music, where he studied with William Preucil, and a Master of Music degree from the University of Michigan, where he was a student of Paul Kantor. 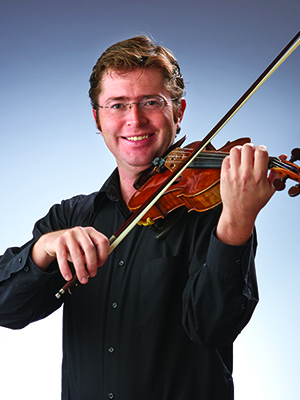 Before joining the second violin section of the Indianapolis Symphony Orchestra in March 2006, he played with the New World Symphony Orchestra (Florida) and as a substitute musician with the Detroit Symphony Orchestra. Away from music, Patrick enjoys golf, rooting for the Boston Red Sox and “if I feel like using my brain, anything including math, science and philosophy."